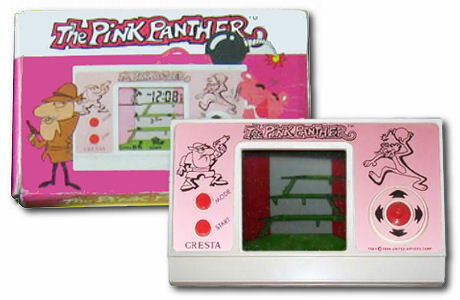 These are our most wanted handheld electronic mini-arcade games. We can offer a generous immediate cash payment for these games. 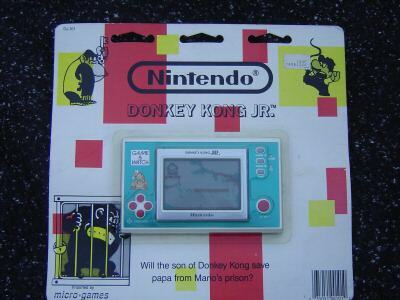 If you prefer, for serious collectors we can offer a trade from our stock of super rare video games. 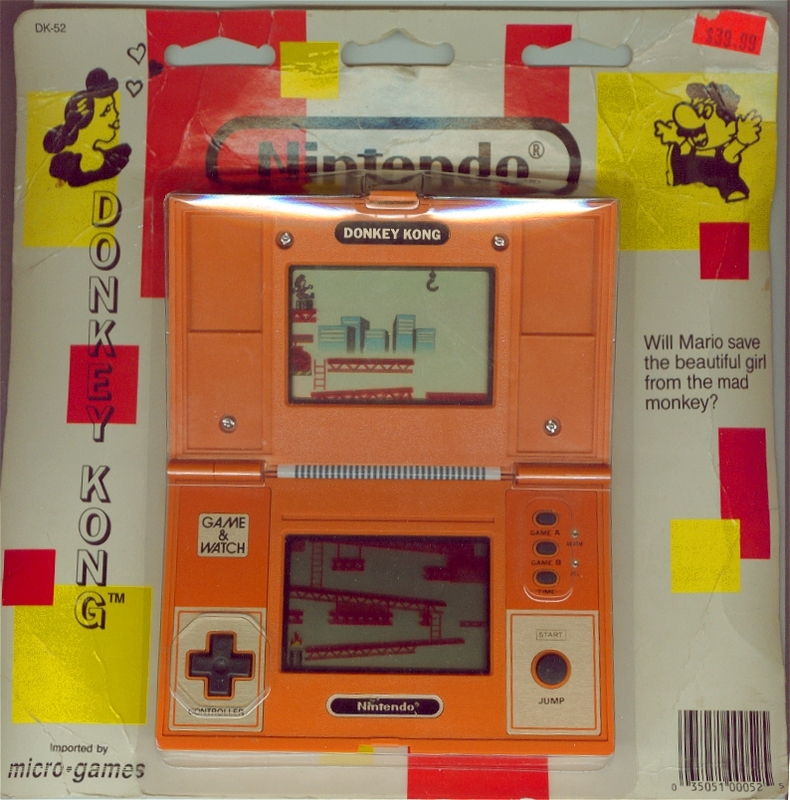 We also buy other boxed vintage retro video games not shown here, and can give you a great offer to buy one or even your entire collection. Contact us - we can pay TOP DOLLAR for any of these games! Also released under different brand names besides Tiger such as Orlitronic or Virca. 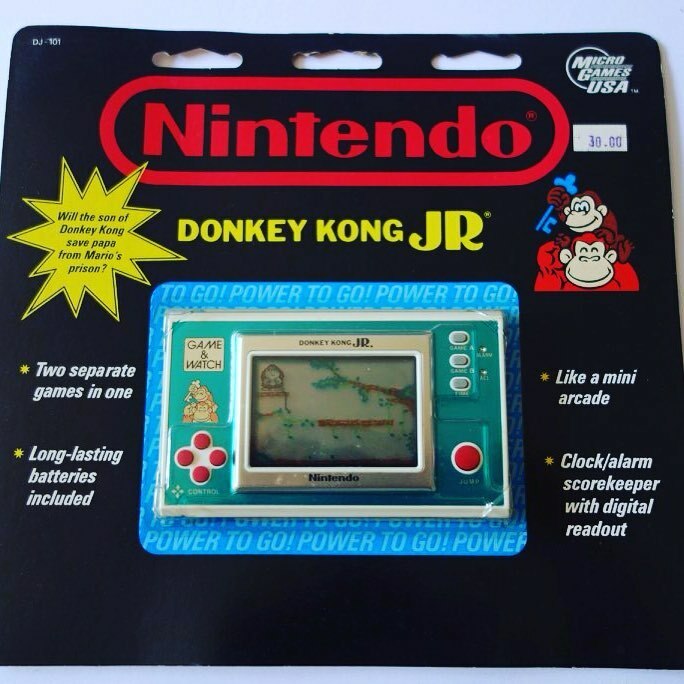 You might be surprised to hear how much we are prepared to pay (or trade) for this rare game so get in touch if you have one with or without a box. 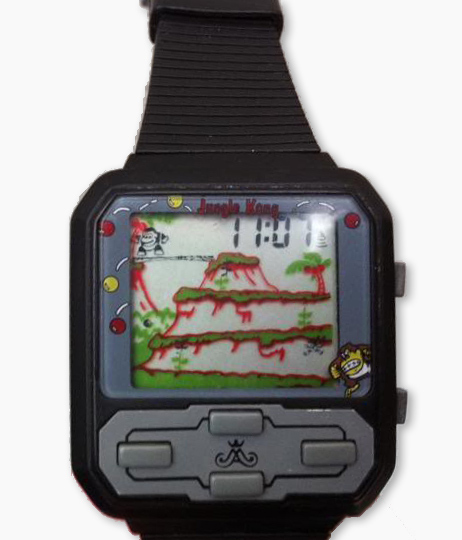 Wristwatch game of Jungle Kong by Cresta or Halion, wanted loose or in original package. 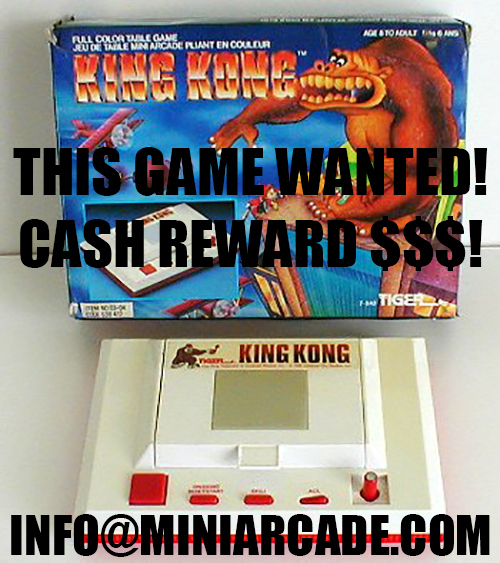 Same game as Jungle Kong - A knock-off of a Donkey Kong knock-off! 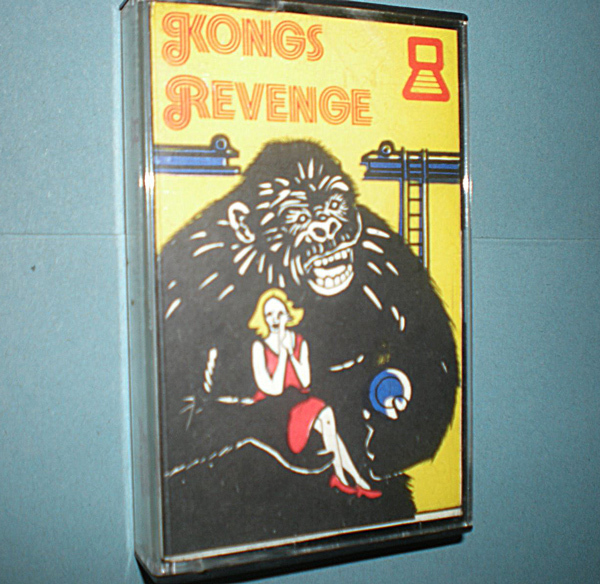 Kongs Revenge software tape for Sinclair ZX81 vintage computers. Also might be released for Sinclair ZX80, Timex 1000, or Timex 1500 model computers. 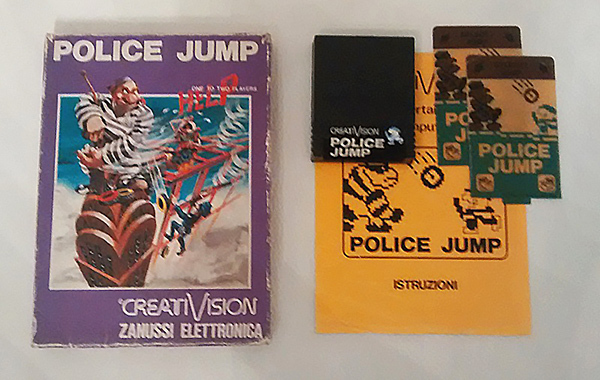 Police Jump video game cartridge wanted boxed. 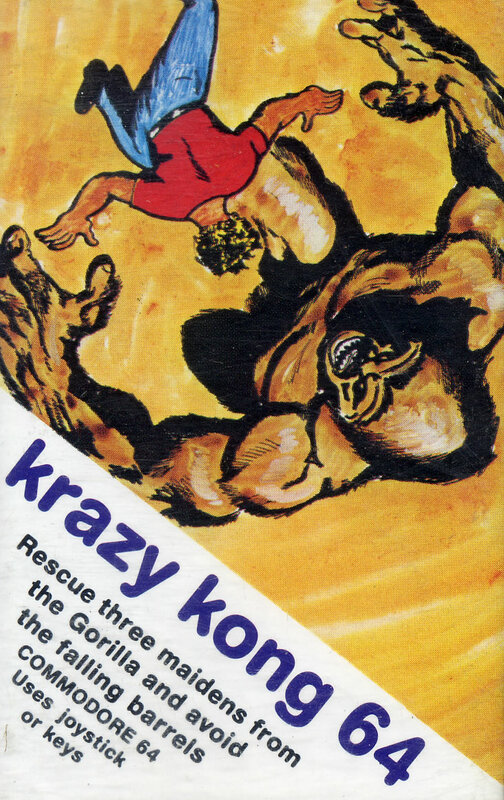 Krazy Kong 64 video game cassette tape for Commodore 64 computers. Rescue three maidens from the Gorilla and avoid the falling barrels. 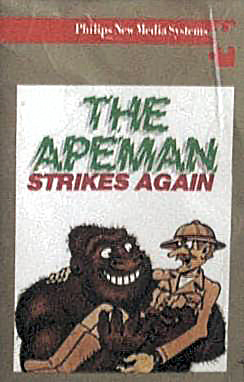 The Apeman Strikes Again video game cassette tape for MSX Computer (Philips New Media Systems). 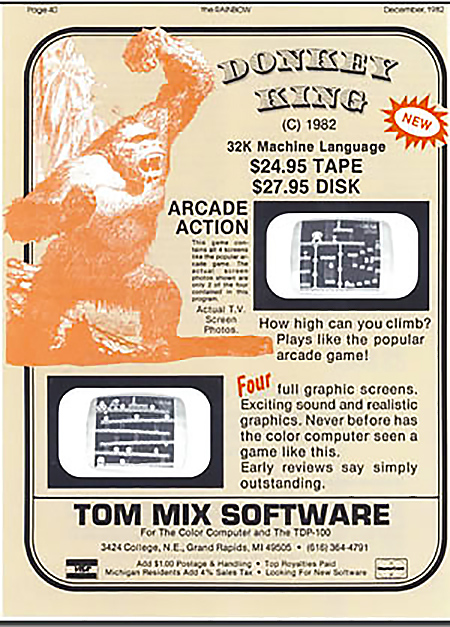 Donkey King by Tom Mix Software for the Tandy Color Computer (COCO), looking for bag-package cassettes, promotional materials, anything related to this Donkey Kong clone. 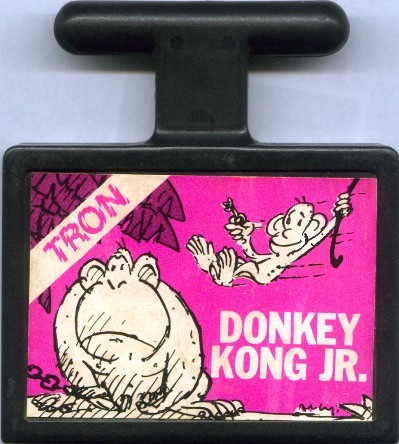 Donkey Kong Jr game by Tron rare T-handle style cartridge for Atari 2600. 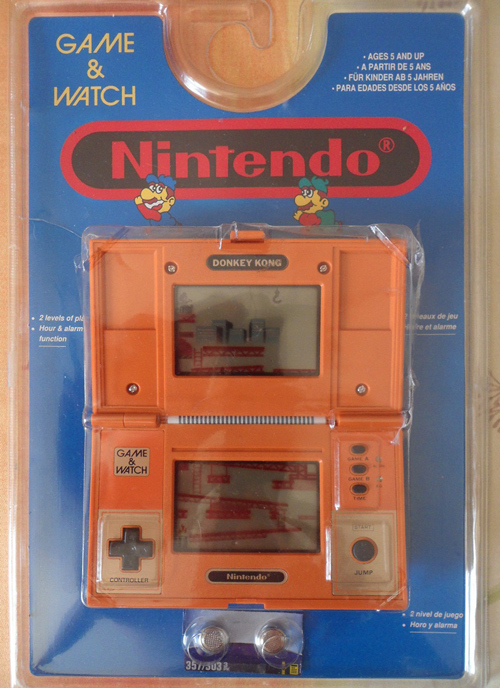 Donkey Kong Nintendo Game Watch series - looking for any *sealed* blister packages of DK, DK Jr, or DK II.